You can earn 150 yards with this purchase! 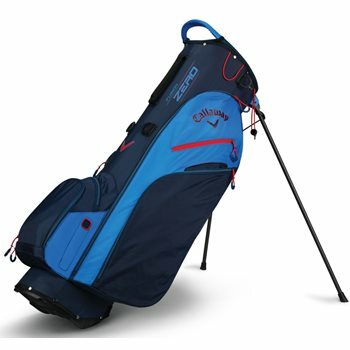 The Callaway Fusion Zero stand bag is lightweight at 3.3 pounds and features a 14-way top with full length dividers for club protection and organization. The bag is designed with durable nylon fabric and carbon fiber legs for stability. The Fusion Zero stand bag is equipped with an individual cell phone sleeve and 6 zippered pockets for storing golf essentials and personal items.